Rebecca Coury has enjoyed a career in education for nearly thirty years in a variety of capacities, which has spanned across nine countries and twenty-seven schools. She began her career as a social worker, counselor, and teacher in her home state of Florida, then moved into the world of teaching overseas for 22 years to serve the children of the United States military with the Department of Defense Dependent Schools (DoDDS). During her career in the classroom, she taught a variety of grade levels and subject areas, as well as gifted education, compensatory math and reading, and as a math coordinator/trainer. Her teaching assignments took her to Cuba, Panama (Howard Air Force Base), and Germany. She loved teaching the military children whose unique lives required that they constantly embrace new cultures with open minds, hearts, and with excitement. While overseas, Ms. Coury earned her Master’s Degree in Special Education, a certification in Gifted Education and began to increase her concentration on the unique challenges of students. This built her focus on curriculum and program development, instructional strategies, and authentic assessments. 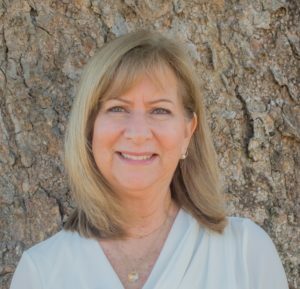 In 2005, Ms. Coury began a seven-year experience as Accreditation and Instructional Specialist the District Office in the DoDDS Mediterranean District. She worked alongside the principals, staff, and parents of 19 schools across Italy, Spain, Portugal, Turkey, and Bahrain. She facilitated 26 successful AdvancED accreditation reviews while supporting instructional progress, shared leadership, program development, and the strengthening of community partnerships. During this time, she had the good fortune of embedding into schools which were much like Balboa Academy, with students of diverse backgrounds and cultures, and with staff members who appreciated and embraced the uniqueness of these families. Ms. Coury joined Balboa Academy in August of 2015 as Assistant Director. She once again supported the school’s successful AdvancED Accreditation review in the Spring of 2016. She has also been working alongside the administrators to develop and expand Support Services, in the design and development of a comprehensive Special Education program, the implementation of a Gifted Education Program, and the expansion of the English Language Learners support program. She has been involved in the development of the Balboa Academy Professional Development Plan to facilitate ongoing training to keep the school’s staff confident and current in their profession. Ms. Coury’s entire career has been one of being surrounded by the sights and sounds of children, teachers, administrators, and parents working and learning together. She believes that these relationships and teamwork are what makes the Balboa Academy family, in particular, a unique and supportive environment in which everyone can thrive. Ms. Coury will continue to focus foremost on the children’s academic, social and emotional development while looking to ensure their confidence in the future as well. She very much appreciates the dedication of all who work together in this endeavor.